Many outdoor enthusiasts regard Pine Barrens canoeing or kayaking in the Pine Barrens as one of the best ways to experience the Pine lands up-close. Here is information on how to go about it. Where to find the New Jersey Pine Barrens? Imagine a triangle between New York City, Philadelphia, and Atlantic City with a million-acre chunk of arid pine forests, cedar swamps, and twisty little rivers right in the middle. It’s a place called the New Jersey Pine Barrens, also known as the Pine lands, where you can paddle for two days and not see a single house. The scenery is gorgeous - huge pines, cedars and oaks; birds singing; the clear brownish red cedar water of the river often times, the only sign of humanity in this vast forest as you quietly glide through the Pines. A number of privately owned canoe/kayak rental agencies or "liveries," are located throughout the area, offering trips down such rivers as the Mullica, Batsto, Oswego, the Wading, and Cedar Creek. A trip down one of these Pine lands waterways can last from 1 to 9 hours, depending on the route you choose and the river conditions. Some liveries offer overnight trips. Most of them are open from May to November. An outdoor outfitter offering kayak rentals, canoe rentals, expedition services, guided tours, paddling instruction, and more! 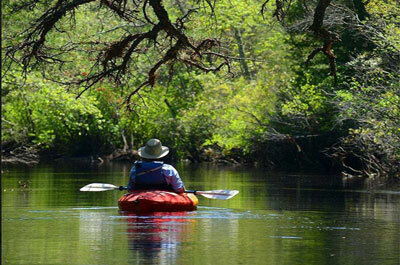 The Mullica River (Overnight Trip) is a 5-star wilderness excursion located within Wharton State Forest. The brackish water meanders through a variety of maple swamps, cedar corridors, and pine barrens. Numerous high sandy banks and lush glades provide many stops along the way. Mullica camp site is at the mid-way point of this run, offering sanitary facilities and drinking water. It takes approximately 4-5 hours to Mullica camp and 3-4 hours from camp to the end. The Batsto River trip is led by guide and naturalist John Volpa. During this trip, you will explore on water and land and learn about Pine Barrens habitats, history and plants and animals. During the trips there will be stops to investigate unique Pine Barrens plants along the rivers edge, learn about the role of fire in Pine Barrens ecology, and history of bog iron in the pines. A stop for lunch and to review Pine lands maps and also for dip netting to get a closer look at the fish and invertebrates that inhabit the river. Your trip will end at Batsto Lake where you will be transported back to Pine lands Adventures. This trip is recommended for families, scouts or groups. This is the main take out for downriver trips on the Batsto river. Launch site is half way up the lake. 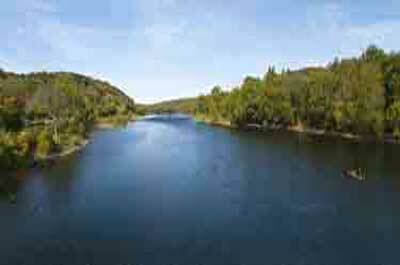 The Batsto River has a very gentle flow and the best average water level of the pine barren rivers. This is an excellent up-river paddle. Directions: Garden State Parkway North to 50 exits to Rt 9 drive to stop light in New Gretna, make a left on Maple Ave turns into rt 679 follow total of about 6.5 miles to Bodine field entrance another two miles to merge with Rt 563, left turn for evans bridge, right/straight about 3/4 mile to godfrey bridge campground entrance. From 206 east on rt 30 to rt 542, about 11 miles to rt 563 about 4.5 miles to Evan Bridge parking just over bridge on right. Maurice River on the Parvin State Park, They rent kayak / canoes for the day or paddle the wild & scenic Maurice river. They will drop you and your party off and pick you up at a predetermined location down the river. They offer 3 different pick up points you may choose from determined by the amount of time / distance you would like to paddle and your paddling experience. If you enjoy fishing, just bring a rod and tackle, we have special kayaks set up for fishing. They have night crawlers available for bait for purchase. Micks is the closest livery to the Wading and Oswego Rivers through Wharton State Forest They rents canoes and kayaks with each rental including transportation to and from the river, paddles and life vests. 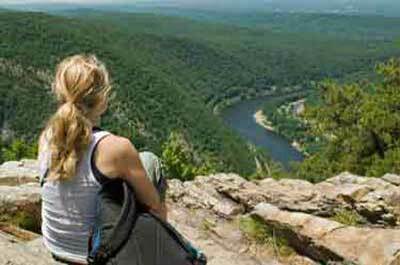 They also provide trail guides for trips lasting from 2 to 8 hours. for one low price. The rivers have gentle waters and the forest has a natural beauty you can enjoy as you drift by remnants of Colonial settlers, towering Pitch Pines and beaver dams. Relax, picnic or swim along one of the many beaches. Offers Atsion Lake cabins with year-round with full facilities. Cabin renters may use the Atsion Family Campground bath house for running water/hot shower use. Please call either the Atsion Office (609) 268-0444 or the Batsto office (609) 561-0024 for more information. 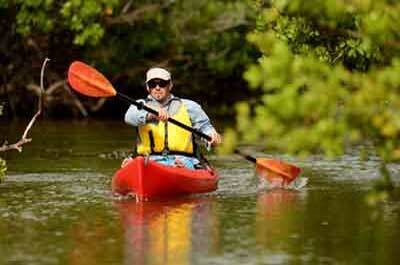 They offer Kayak & Canoe rentals from their campground. They take you up stream to one of 3 locations. And at the end of day on Cedar Creek, there's no waiting around in cold, wet clothes as the sun sets for a pickup. Just paddle right down river to the abandoned rail bridge and pull your boats out there. You'll arrive steps away from our campground. Cedar Creek: From its headwaters in Greenwood Forest Management Area to its mouth at Barnegat Bay, Cedar Creek provides the water required for cranberry culture and supplies a pure source of water for wildlife. Adjacent bogs and uplands provide examples of plants characteristic to the Pine Barrens. Habitats of this waterway, typical to the Pine Barrens, include Atlantic white cedar swamps, bogs (including cranberry bogs), pine and oak forests, and coastal salt marshes. Throughout this beautiful watershed, you will find wildlife and unique plant species. Located right on the Wading River, Their wooded sites accommodate every style of camping, from tent sites to spacious pull-thrus with hookups which include everything from 50-amp electric through free cable TV! For non-campers, they also have a variety of 16 rental cabins, many with waterfront locations. 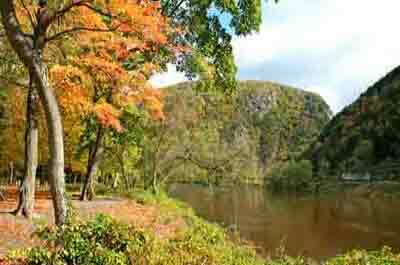 Paddle downstream to one of the many secluded picnic spots along the riverbanks. If you prefer to stay "closer to home", you can picnic at their private island in the river. Canoe & Kayak rentals are available along with a choice or trips lasting from one to five hours.